Yellow Wagtail (Motacilla flava ssp flavassima). Male. Taken at Farmoor, Oxon., on April 19th 2016. Male. Taken at Farmoor, Oxon., on April 19th 2016. 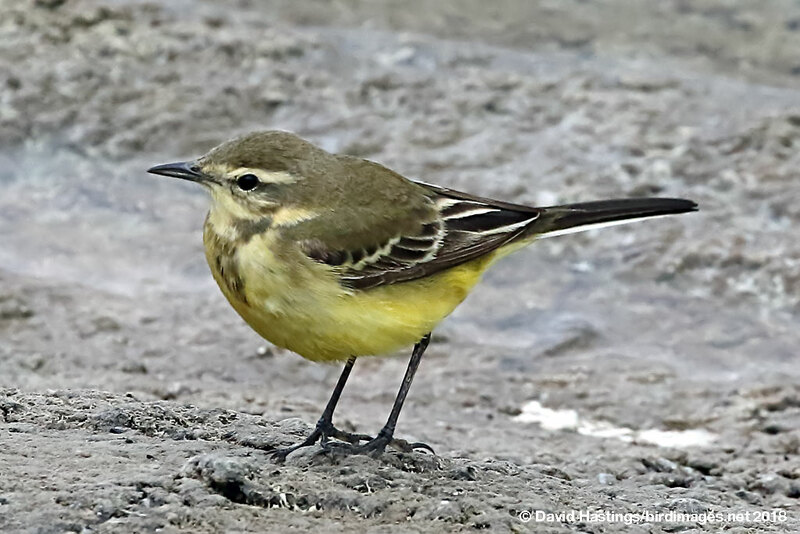 Yellow Wagtail (Motacilla flava x flavassima). Male. Taken at Farmoor, Oxon., on April 19th 2018. Male. Taken at Farmoor, Oxon., on April 19th 2018. Yellow Wagtail (Motacilla flava ssp flavassima). Female. Taken at Farmoor, Oxon., on April 28th 2018. Female. Taken at Farmoor, Oxon., on April 28th 2018. 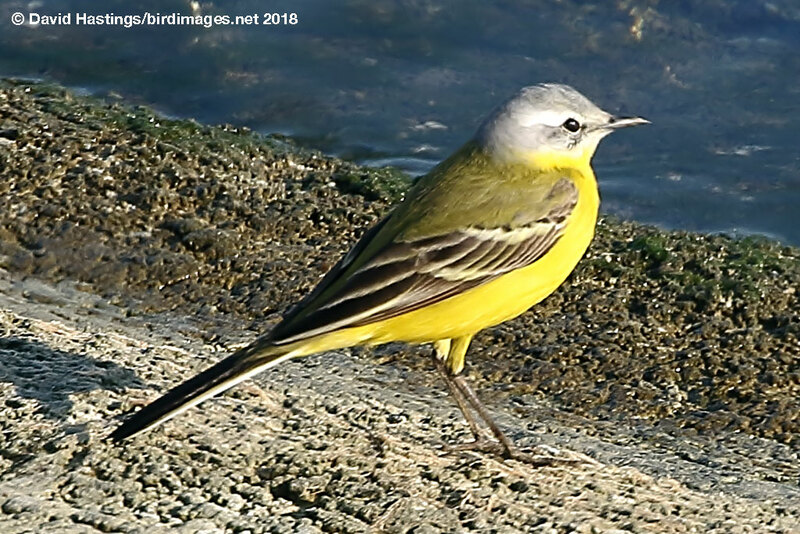 The Yellow Wagtail is a small graceful yellow and green bird, with a medium-length tail, and slender black legs. There are at least eight distinct races in Europe. It is a summer visitor to the UK (mainly England), and spends the winter in Africa. It breeds in a variety of habitats in the UK, including arable farmland, wet pastures and upland hay meadows. It spends much of its time walking or running on the ground, looking for insects. 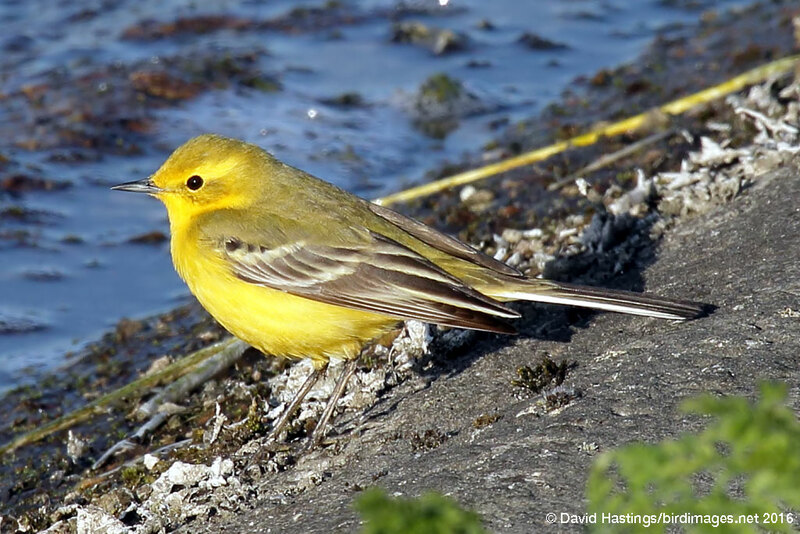 The Yellow Wagtail is a Red list species because of serious declines in breeding numbers. There are between 11,500 and 26,500 territories in the UK.